Thanks for the fast service. I look forward to trying the rice cooker out on the weekend. My twister jar arrived today, and I wanted to thank you for the prompt service. This is my first experience with an online purchase. It was excellent, my item was shipped the day it was ordered and I recieved it within 2 days!! My compliments on shipping this item so quickly. It arrived on Friday and I enjoyed using it on the weekend. Well done! Just wanted to thank you our order came packed well and working and i love the rice cooker! Wow! amazing turn around. Thank you! This wonderful little juicer arrived today, having been ordered yesterday. 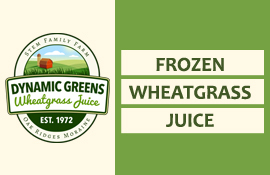 We have made our first shots of wheat grass and are very happy with this beautifully designed, smooth functioning, cute juicer. Thank you for the care you took with this order and the excellent products you provide. I will certainly recommend your company and purchase products through you again. I just picked up my juicer from the post office an it works great! Thanks so much for the quick delivery. I just wanna take one minute of my time to let you guys know that i've already received my order, I've really appreciated doing business with you. GOT IT TODAY! wonderful!, i'm already using it as i type this note, everything is fine for now. Package arrived today - thank you very much! Thank you for the fast service. I'm very excited to receive my Excalibur. Just wanted to thank you for your prompt coordination for the delivery. I just got the unit and served the first orange juice for my grandparents today. Thank you! Thank you for the exceptional service. We received the items promply and are very pleased with the product and the service. The product arrived on Friday – quite a turnaround time! Thank you very much. Thank you for your quick service, received today. You'll be getting another order from me! Last Thursday, I decided to order a food dehydrator to make safe and nutritious treats for my pets. 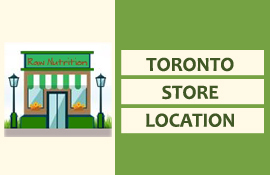 I researched different brands to find features and options available, then set out to find a Canadian retailer of the most recommended models, and I landed on www.rawnutrition.ca. I haven't tried my dehydrator yet (the mailman just dropped it off this morning), but I wanted to commend Raw Nutrition on their excellent customer service. I made use of e-mail support and the online chat feature during my decision process, and both were prompt, well informed, and helpful. I received an order confirmation e-mail immediately after placing my online order, and a second e-mail confirming delivery of my order just a few hours later. And now, barely two business days after placing my order, I'm wondering what to dehydrate first! 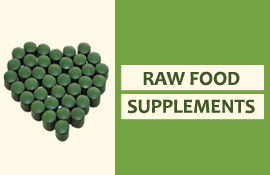 I'm recommending Raw Nutrition to all my friends - kudos! 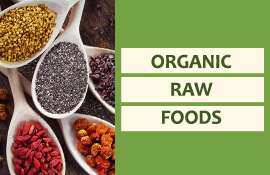 I just received my order from Raw Nutrition and am very happy at the speed that my order arrived and for the fact that they use Canada Post to deliver their products which meant that I did not have to find a ride WAY across town to the Purolator office. I will be ordering more stuff - have my eye on a dehydrator and the yogurt maker. Thanks so much for your excellent (and fast) service/delivery! This is to let you know we have received the one gallon order of our organic coconut oil and are very happy with the speedy delivery and the excellent quality of the oil. Just want to say my friend told me about your site. I've been on others but I like that you have no hidden fees with purchasing the Excalibur - I've heard horror stories from other peeps. Your site is awesome - it has many details about your products which made me order from you. I will definitely be purchasing and recommending your site. It is so user-friendly. Just letting you know that this is one of my favorite sites, I bought my juicer, wheatgrass juicer, milk bags, wheat berries etc. here, love it. I just placed an order with this website, and the customer service was FANTASTIC! 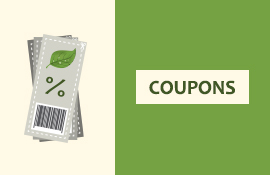 I had online, immediate assistance at 8:30am, which is before the 9:00am telephone time, and I even found out about a coupon to apply to my order to save more than the coupon page offered. I am a new FAN, and I can't wait for my order to arrive :D Thank You! Received my Omega 8006 a couple of days early - it arrived safe and unscathed. Used it for the first time and wow! What a machine! So happy -- and a great price. Thank you! I LOVE, LOVE, LOVE the Hurom I recently purchased. It's our first juicer and we couldn't be happier! I can't express how pleased I am with Raw Nutrition's service. I ordered my Omega juicer on Wednesday night and it was at my front door less than 24 hours later. That just amazed me. This was my first purchase but I'm sure will not be my last! - and thanks for using Captchas that one can actually read! about trying out new recipes and experimenting etc. I must confess that the juicing results are tremendously powerful in taste, smell and, I presume, in nutritional value. There is no way any store bought juice can ever, ever compare in quality to Omega's juices. 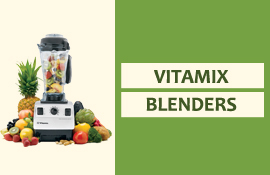 My family and I will continue perfecting our fruit and vegetables mixes..... and with your ultra rapid delivery as well as incomparable prices we will look into more of your products. I ordered the Excalibur 2400 on Monday, received it on Wednesday (Tuesday was a holiday too!) I also got a spiralizer which at my local shop they charge $100! here it was only $37 I tried it and works great! With my order there was also a coupon where I saved $10! I am very very impressed with the service, the prices and the attention to details with emails! I also love that I can order from Canada and save on duty! Thank you! rawnutrition.ca for making this the absolute best online ordering experience I will be telling all my friends and I of course will be shopping again! I am so impressed with how fast everything was and how affordable as well! I bought a dehydrator at london drugs for $100 and it broke after about 10 uses I am a single adult .. was a nightmare to take back as well. I saw your site and found everything very easy to order from I also love the visa debit option!! The dehydrator and everything else came in fine condition, and the dehydrator is FANTASTIC! I used it last night, just putting a bunch of things in to see what happened. Made the most wonderful coconut yogurt and blueberry leather, daikon radish and kale chips, and tomato soup powder. So easy and fast, absolutely delicious, and nothing in it that I can’t eat. Such a liberation. I should have bought one long ago. Thanks as well for your informative website and easy ordering. I had been considering getting my sister to buy a dehydrator for me when she went to the States, but what your site says is correct - once you add in delivery, the ever-uncertain duties and extortionary exchange commissions, there’s no doubt that it’s less expensive and considerably faster buying from you, even counting the holidays. Not to mention it supports jobs in Canada, which is good for all of us. Thanks! Raw Nutrition is the best company I have dealt with in a long time. A few years ago I purchased a dehydrator and was very surprised that it arrived so promptly. Just recently, I ordered some extra trays for the dehydrator and again, received an immediate personal email that only part of my shipment was in the warehouse. They immediately sent the part order. This was important to my productivity. The remainder of my shipment appeared only a few days later. Great customer service is a rarity in this day and age. Thank you Raw Nutrition. Have comments on our service? Send us your feedback here.